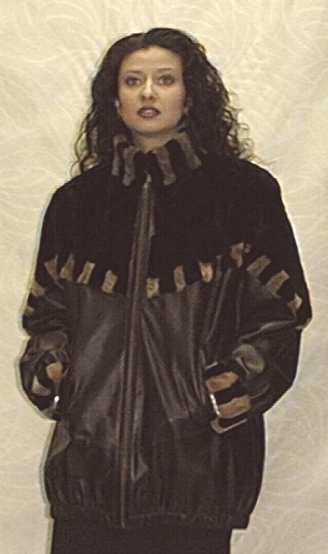 Brown Lamb soft Leather Bomber jacket with Sheared Beaver trim. Zippered front and elastic bottom. Made in Canada from Italian soft lamb leather.